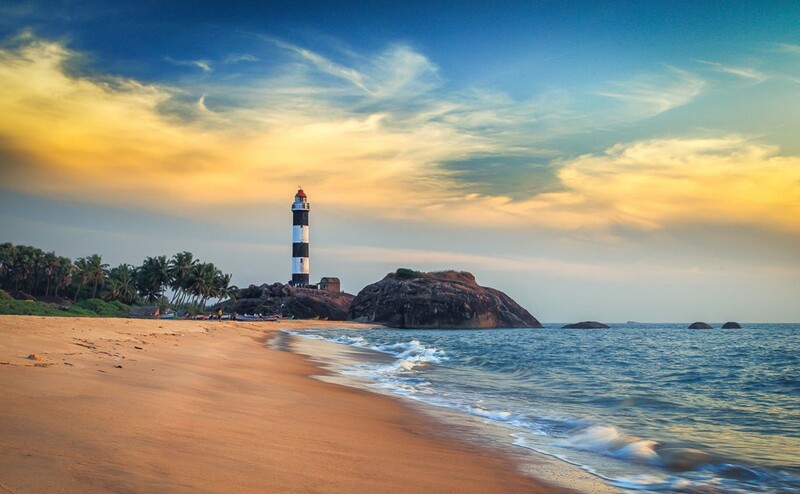 This is a very beautiful island which can be reached from a place very near to Malpe beach. It is a small island and around 2 hours can be used to explore it before the ferry takes you back. It is very clean and very beautiful. St. Mary's isles are group of islands accessible by ferry from Malpe. 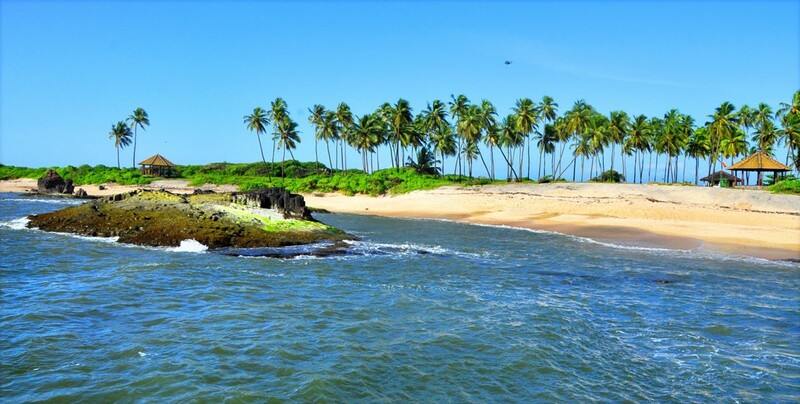 Vasco da Gama is understood to have touched the island in 1498 before he reached Calicut. The Islands are just a few scattered projections of rock rising out of the Arabian Sea round about Malpe. The northern most islands are about a square mile in area and not more than 250 yards in width. It has a coconut garden, which makes it the shadiest isle of the group and gives it a true south sea colour. The Island is 17 KMs from Manipal. 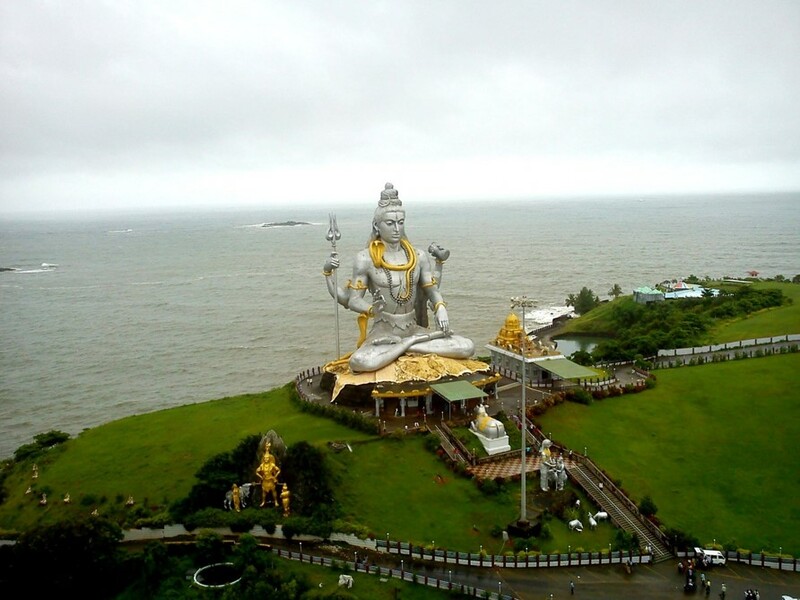 Home to a huge Shiva statue, this place is another 40 km from Turtle Bay (103 KMs from Manipal). It can be visited on the way to Gokarna or Goa. The sea is an intrinsic part of the temple at Murudeshwar. The sea on three sides surrounds the temple towering on the small hill called Kanduka Giri. Two life-sized elephants in concrete stand guard at the steps leading to the temple. The Murudeshwar temple has a history that dates back to a few centuries. A small temple existed here for generations. A recent attraction is the Lord Shiva idol erected beside the temple. The idol towers 123 feet into the sky and is the tallest Shiva idol in the world. TURTLE BAY: Turtle Bay is a beach resort. A short distance away from the resort, on the Highway, lies a beautiful stretch of road with the sea on one side and backwaters on the other. This stretch measures a few kilometres and is a rare sight. The scenic beauty of the Arabian Sea, the calm backwaters of the River Sowparnika, breathtaking nature walks, treks along the scenic coast, clean water for snorkelling, scuba diving and swimming - that about sums up what Turtle Bay is all about! Turtle Bay Beach Resort offers you the luxury of lounging on pristine golden sands, amidst swaying coconut palms. The resort gets its name from the sea turtles that inhabit the beach during the nesting season from October to December every year. This is India's highest waterfall and is about three hours by road from Manipal. (165 KMs). The best time of the year to visit these falls is during monsoons, preferably July and August. The flow of water is restricted by the dam during the rest of the year. Jog is the translation of the Kannada word "Joga" in Kannada. The roaring waters of the River Sharavati drops from a height of 875 ft to form the glorious waterfall. While doing so Sharavati is split into four different tracks namely "Raja","Rani","Roarer" and "Rocket". During summer when the water levels are low, one can actually walk down to the bottom of the falls. 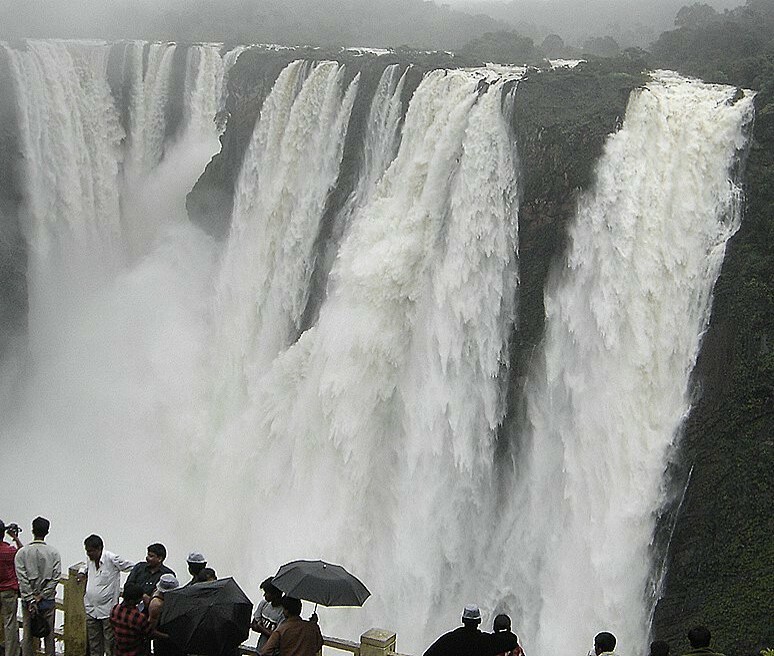 Jog falls is the fifth highest waterfall in Asia. This place could be the best get away from your regular mechanical life. Coorg is situated on the Western Ghats in Karnataka (210 KMs). For those interested in adventure, it is an absolute treat. There is trekking, golfing and angling (Mahaseer too!) options available. Religious trips abound on Hindu and Buddhist circuits. Family getaways can be easily arranged. You can also relax your body and mind with special Ayurvedic massages. 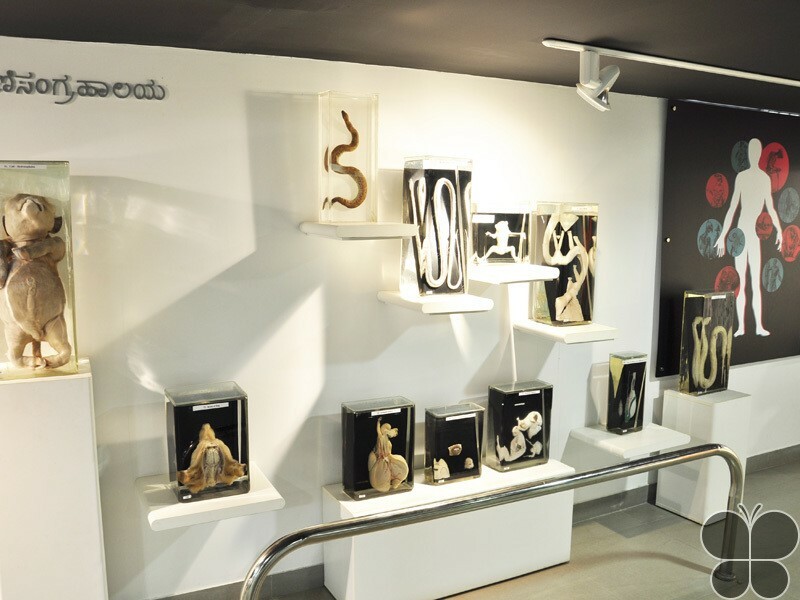 Coorg is also as trendy and happening place as its close neighbour Bangalore. But the predominant entity here is nature at its best. Coorg is like the dreamland of the philosopher. If you are the type who likes to mingle with nature, feel the tingle of cool and gentle breeze, then Coorg is just the place for you. 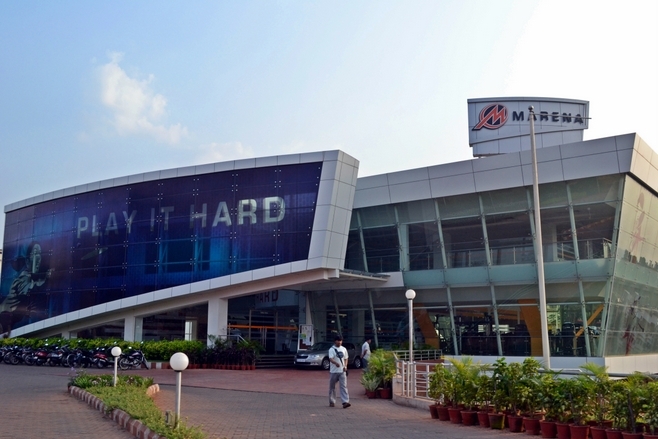 The most popular tourist destination is just five hours by train from Manipal (around 300KMs). Indeed, Goa needs no description. It is a well-known place. 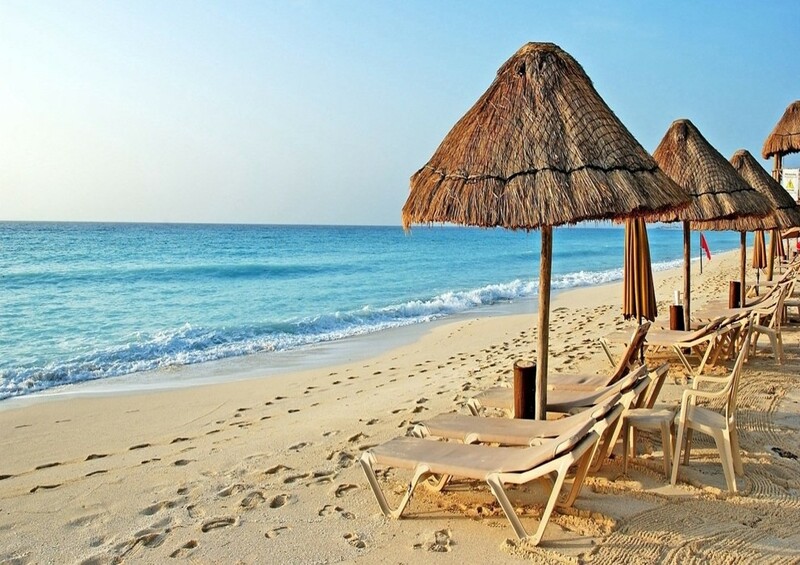 The beaches and the food are all yours. The students do not miss out on the opportunity to visit some of the places in Goa during their stay in the University. The closest and the best beach is Palolim. A trip to this beach on Saturday is delightful. The best time to visit these places is from the middle of November to the end of March. It starts to get hot from April onwards and the monsoon generally arrives in June. Storms and heavy rains for months follow in the coming months. 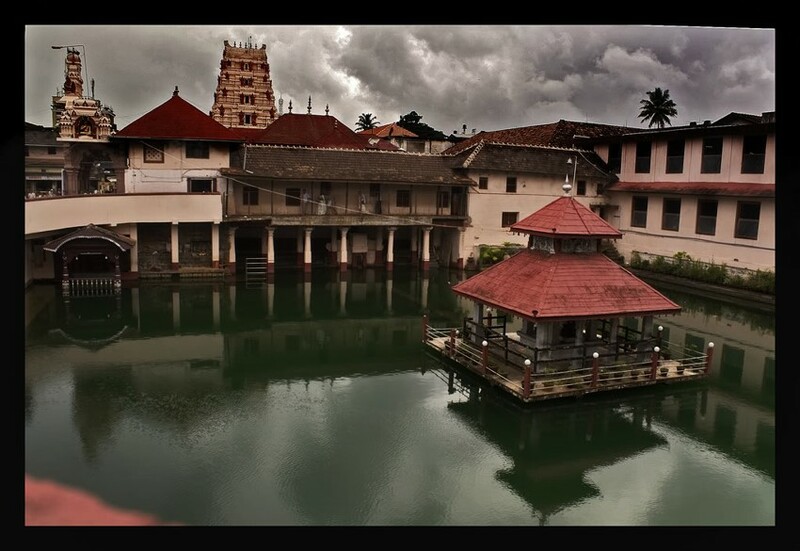 Karkala is a historical town and for the Jains, a famous pilgrim centre. 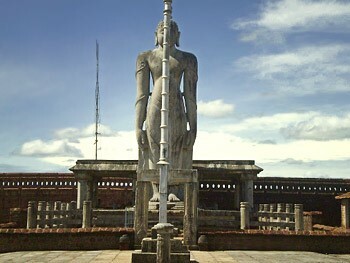 The famous single stone 42-foot (13 m) statue of Gomateshwara (Lord Bahubali) is located here. 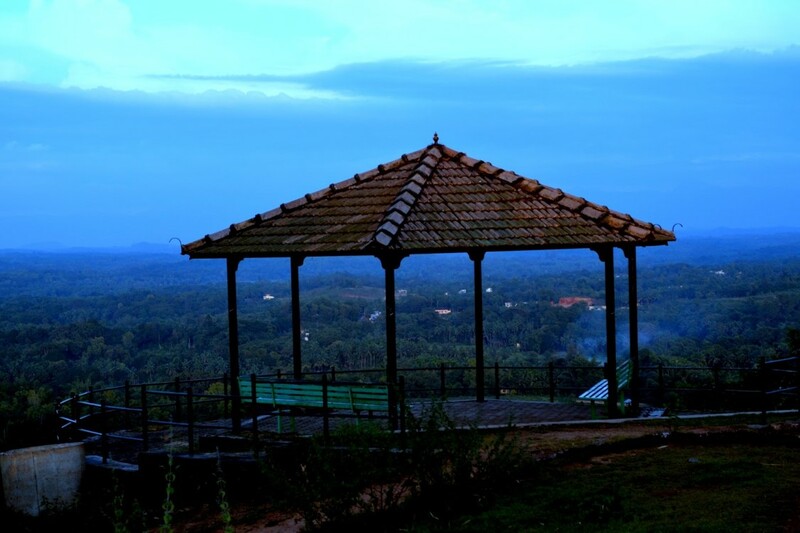 The town is only about 40 kilometres from Manipal. The 45-feet tall statue weighs about 80 tons. The size of the statue makes it imposing as it is 300 feet and rests on granite rock. A Jainking erected the statue in 1432 in memory of Bahubali (the first Tirthankara) who renounced the world at his most victorious moment. Across this image is a Jain 'Basadi' known as 'ChaturmukhaBasadi' which is built out of granite. In front of this temple, there is a beautifully carved pillar called Manasthamhha which is nearly 50 feet high. It is the most beautiful and tallest of 11 Manasthambhas. There are 18 temples in Karkala. The monolith of Gomateshwara formed the nucleus around which the Jain Math and Basadis sprang up. They draw three streams of devotees, lovers of art and students of history. 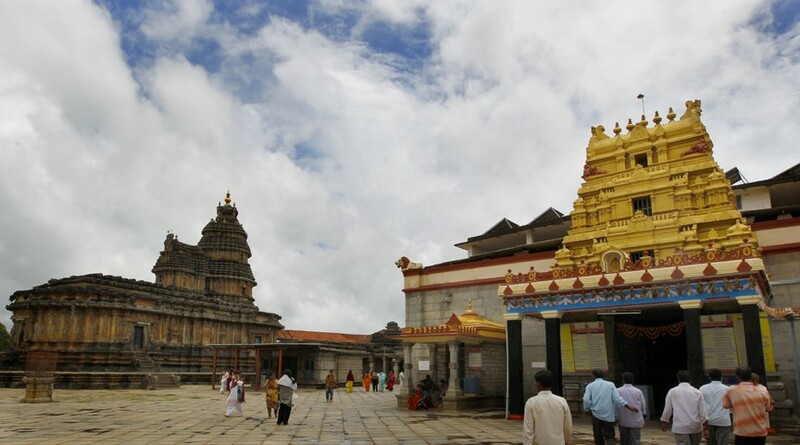 Sringeri, also written as Shringeri, Srngeri and Srngagiri is a taluk located in Chikmagalur district in the Indian state of Karnataka (78KM from Manipal), is the site of the first matha established by Adi Shankaracharya, Hindu theologian and exponent of the Advaita Vedanta philosophy, in the 8th century C.E. It is located on the banks of the river Tunga. Sharadamba temple The Sharada temple, dedicated to the Goddess of learning and wisdom, has grown from a simple shrine dating to the time of Adi Shankaracharya. In the fourteenth century, Vidyaranya is said to have replaced the old sandalwood image with a stone and gold image. The temple structure itself continued to be made of wood till the early 20th century. 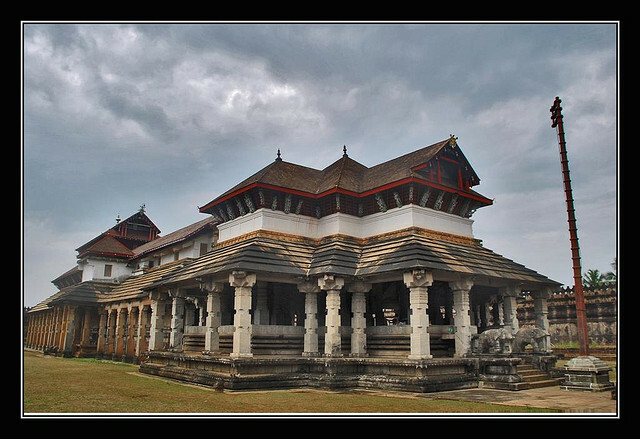 Horanadu is a hindu holy city located in Chickmagalur district, Karnataka, India (115KM from Manipal). The deity at the Annapoorneshwari Temple at Horanadu is Annapurneshwari. The idol of goddess Annapurneshwari was established in 1973 in the temple. 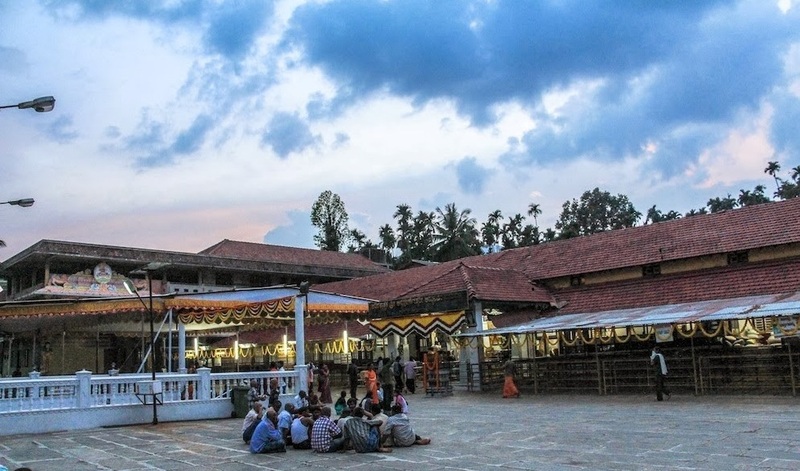 Dharmasthala is a temple village on the banks of the Nethravathi River in the Belthangadi taluk of the Dakshina Kannada district in Karnataka (100KM from Manipal). The temple is devoted to Shiva and houses a linga of gold. The temple is unusual in that it is run by a Jain administration and poojas are conducted by Hindu priests of Madhva order. 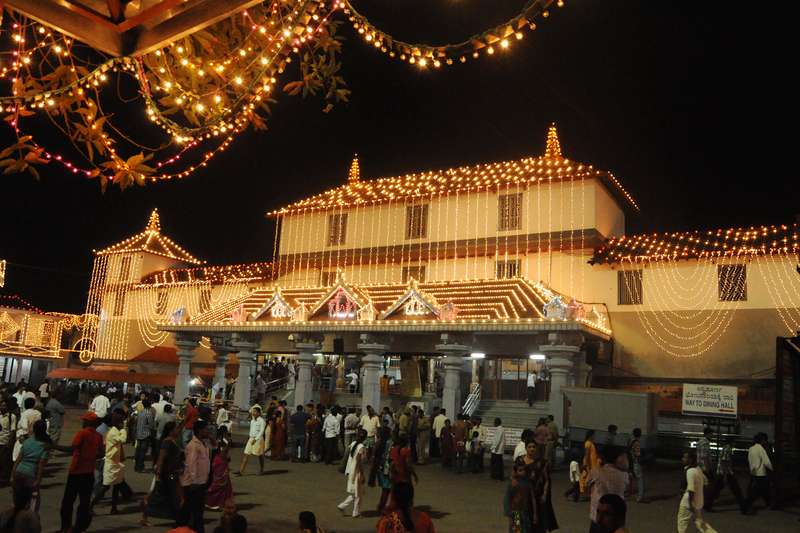 Lakshadeepa- the festival of lights is the annual festival of Dharmasthala comes off in November-December. On an average the flow of pilgrims is about 10,000 people a day. A mechanised kitchen provides free food for all pilgrims and there are guest houses with modern amenities. 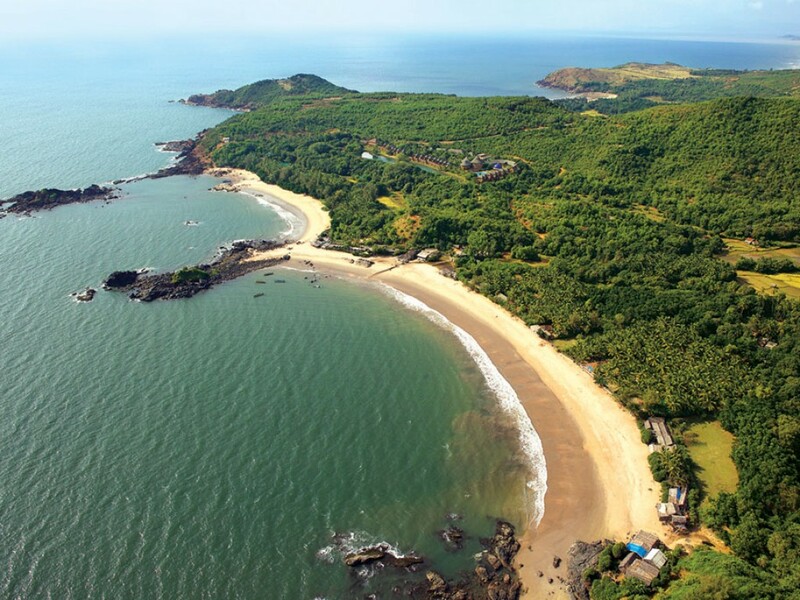 Just a few km off the National Highway 17, after a place called Honnavar, is a beautiful tourist centre known as Gokarna. It has a famous beach called the 'OM' beach. This beach gets its name from its shape which makes an 'OM' like peripheral. With its narrow streets, traditional houses and temples, the nondescript town of Gokarna has become the favourite haunt of Hindu pilgrims, Sanskrit scholars and beach buffs. Locals believe that Gokarna derives its name from a legend in which Lord Shiva emerged from the ear of a cow. The Gokarna beach forms the coast of the town while the other four beaches lie towards the south of Gokarna. Agumbe is a hill station which can be reached by bikes or cars. The way to this place is a diversion from Parkala (The diversion is just a few kms from DT). The best part of the trip to Agumbe is the ride. Beautiful sceneries on both sides will keep company all along the way. This place is abount 45 km from Manipal. 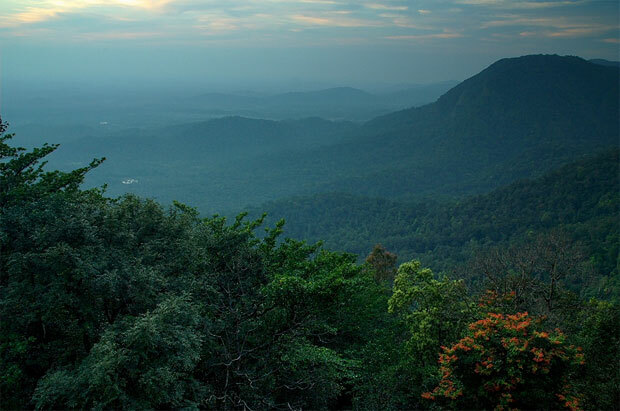 Agumbe is one of the highest peaks of the Western Ghats located about 60kms from Udupi. Situated at a height of 830 metres from sea level, it overlooks the Arabian Sea. 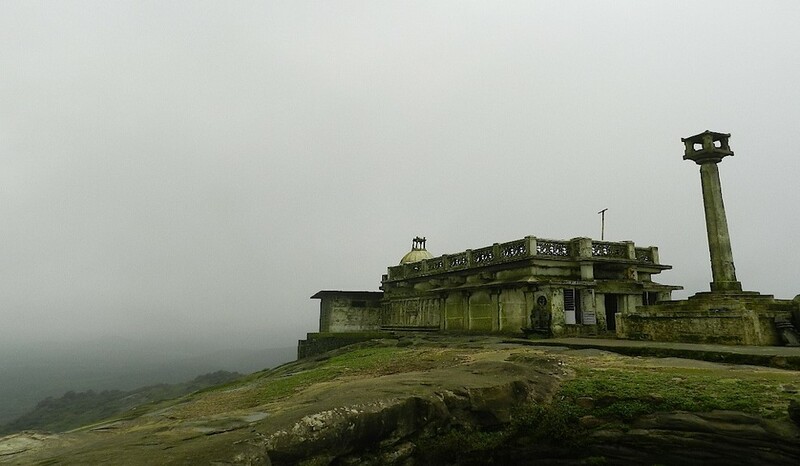 Agumbe is part of the Shimoga district which is a neighboring district of Udupi. A number of waterfalls can be seen on entry into the forest area. OnakiAbbi, Barkana falls, and Jogigundi falls are the more popular ones. Trekking on NishaGundi&Barkana falls is a thrilling experience. Agumbe receives the highest rainfall in the Karnataka state. Driving up to Agumbe is an exhilarating experience, as there are 18 hairpin curves to be negotiated with. The drive is made exciting by the lion -tailed black Macaques (monkey) that keep popping up every now and then. The road leading up to Agumbe is so narrow that only mini buses can negotiate the curves. Rafting in Sita river, located at about 30 minutes drive from Agumbe, can be fun for the adventurous. 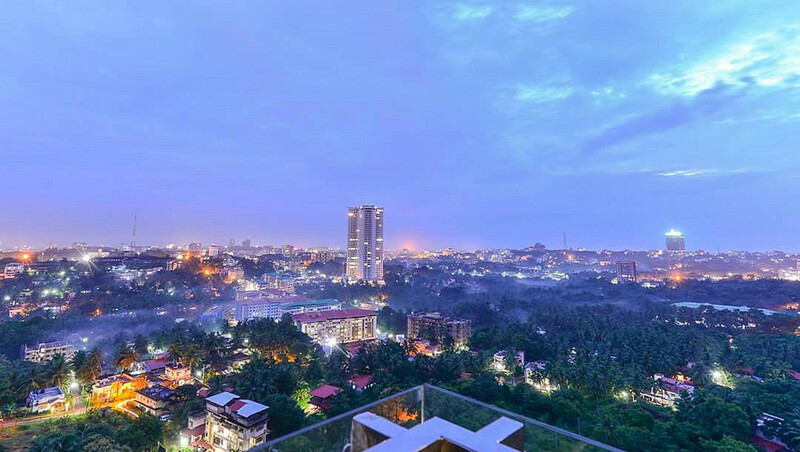 About 70 kilometres from Manipal is perhaps the best coastal city of the region. The drive is about an hour and half. This is a place with everything nice. 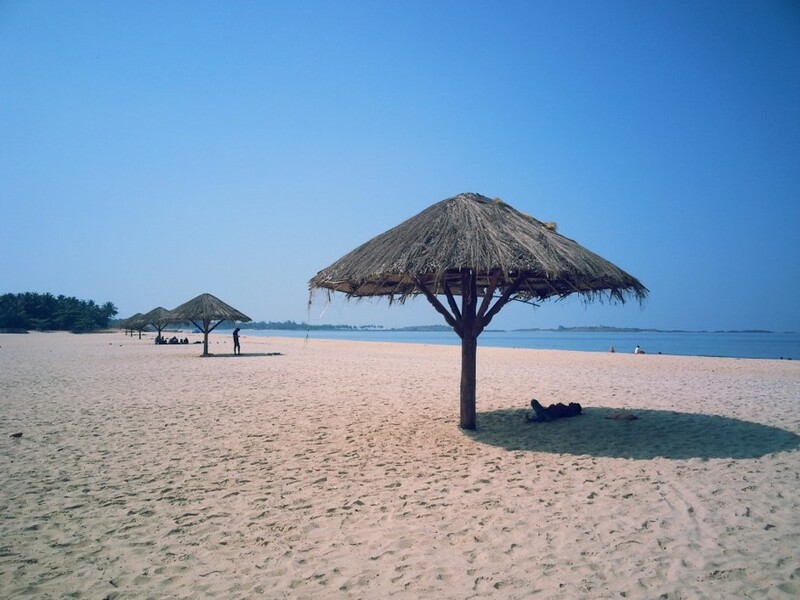 Nice beaches, nice temples, nice churches, nice Mangalorean food and of course, nice people. There are educational institutions in plenty, mostly catering to higher education. A good many number of medical colleges and engineering colleges are to be found here. Other courses like, MBA, physiotherapy, nursing etc have also turned this place into a students’ centre. Hospitals are a dime a dozen, and so are banks. Several banks have their headquarters in this coastal city. It has the trappings of a big city at the same time has the comforts of a small and beautiful city. The border of Kerala State is just 75 km from Manipal. 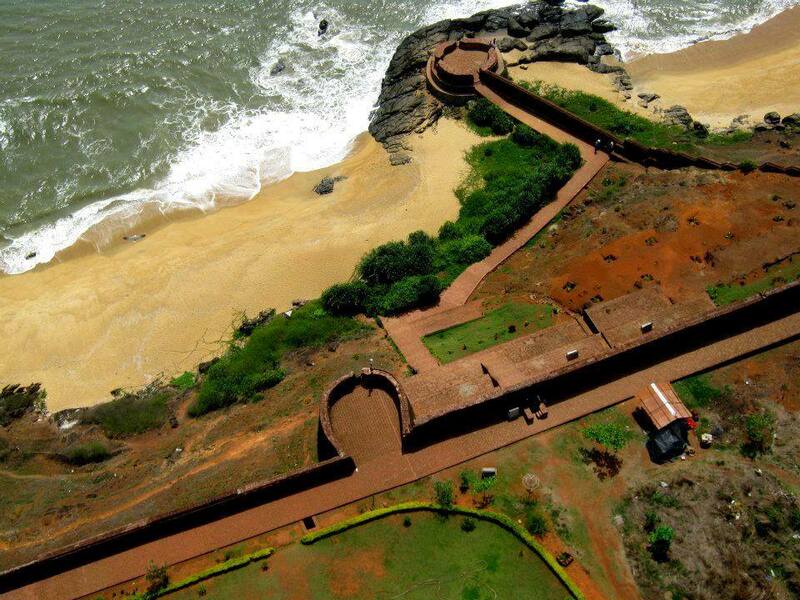 The 300-year-old Bekal Fort, shaped like a giant key-hole, is one of the largest and best-preserved forts in Kerala. Surrounded by a splendid beach, the historic Bekal Fort offers a superb view of the Arabian Sea from its tall observation towers, where a few centuries ago huge cannons used to be placed. Today, it is one of the favourite spots for film-makers because the Bekal Fort and its surroundings with backwaters and hilly destinations make fascinating locales. This fort was made by Tipu Sultan and is built right next to the sea. The popular song 'Tu Hi Re' was picturised with this fort in the backdrop.